Members of the public can again book a floodlit tennis court in Fishbourne following installation of new floodlights at the club at the Fishbourne Centre on Blackboy Lane. Non-members have always been able to book a court but it is only since completion of major electrical works that Fishbourne Tennis Club can again open its courts for all to play under lights between the hours of 4pm and 9pm. The club now has three floodlit courts, one a Tiger Turf artificial grass court which is reserved for members and coaches only, and two hard courts (courts 3 and 4) which are now available for the public to book. 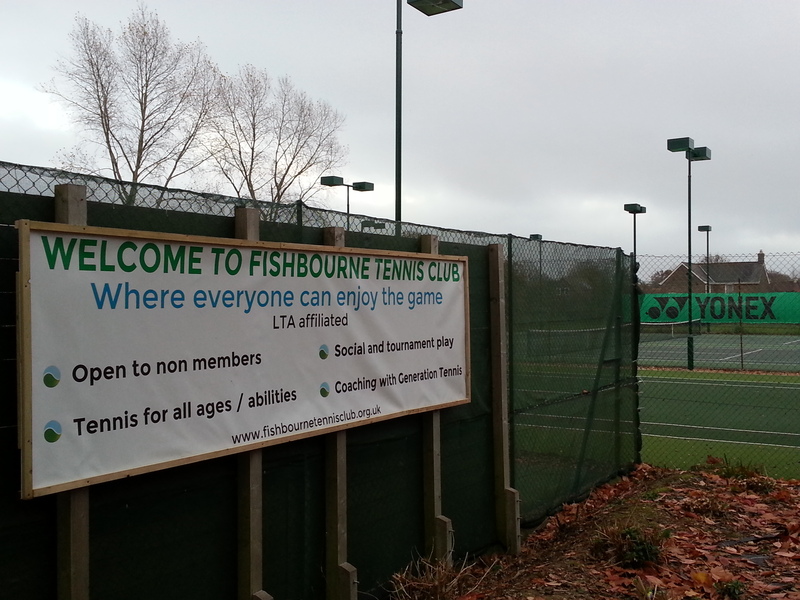 The cost to non-members for the lights is £6 an hour which with the £6 per hour court hire fee makes Fishbourne Tennis Club a more affordable option than other floodlit courts in the area (Chichester public courts with lights are £15.80 an hour). A new public-only switch box has been installed on the outside of the clubhouse to operate the lights, making it as easy as possible for non-members to use the lights and access the courts. A special number code to open the box is issued when members of the public book. All court and floodlight booking is managed online; just click Book in the menu bar and then click the Public Online Booking option for further information.